A few people have been asking about how they can get hold of a copy of Young and Foolish. The book is ten years old this year, and I have to admit that my original stock of copies was used up a long time ago. In the past year or two I have been picking up second hand copies as a little stockpile for friends, but this has dried up somewhat recently. With a copy going for twenty quid recently on Amazon marketplace, I figured it was about time people were able to get hold of it without being ripped off, so I’ve just put together a PDF version, which you can download here. Thanks to Rupert and Stride Books for first of all publishing the thing at the time, and also for allowing me to make it available in this way now. 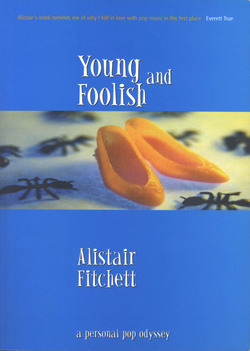 I'm one of those who have been trying to track down a copy of "Young and foolish" in the recent months. Thanks very much for this birtday present ! I haven't finished reading it, but I've already devoured the part about Felt !